The screenshot below demonstrates SysTree-/SysList components. 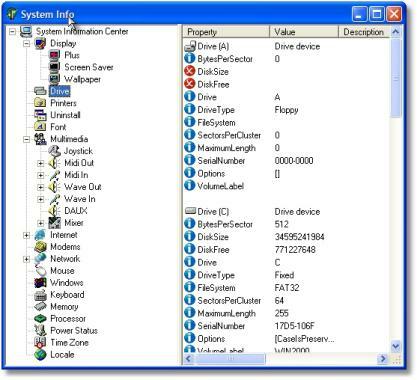 By connecting a particular SystemInfo control to these visual controls system info is displayed automatically (no code required). 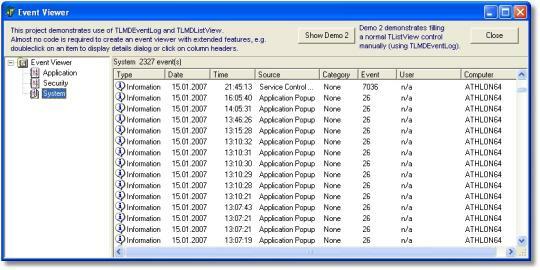 The Event Ever project demonstrates use of the system log controls which allow request and display of system log entries (as known from the Event Viewer application available in the Windows operating system.